The Radio Diagnosis and Imaging Department of ELMC&H is one of the best centres of its kind in North India. The Department has very recently acquired a state-of-the-art MRI MACHINE with high resolution and very precise diagnostic efficiency. It has become very valuable in the diagnosis of diseases of the CNS and musculoskeletal system. Dedicated mamography coil is of help in MR mamogram. Diffusion and MRCP sequences have excellent results. 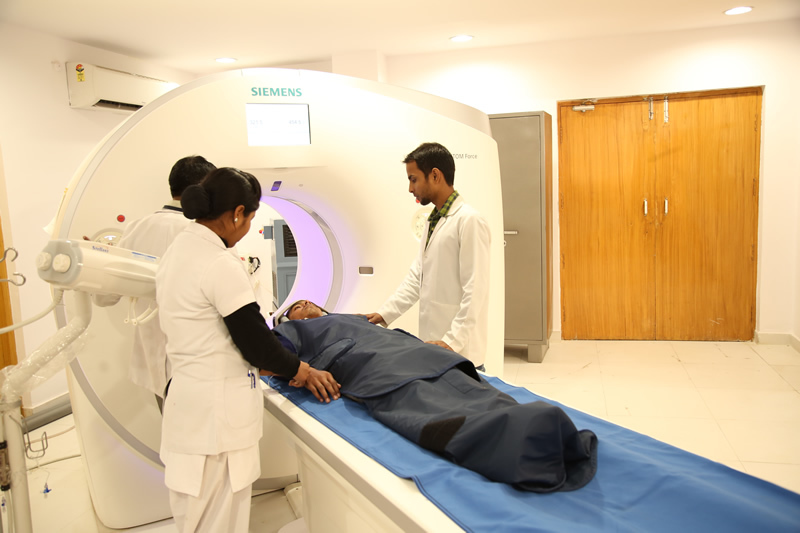 Besides this the department also possesses the most modern and state-of-the-art machines like Spiral CT Scanner, Mammography machine, High-Resolution Colour Doppler, the latest Ultrasound and X-ray machines. Era’s Lucknow Medical College & Hospital becomes the first Medical College of India and the first Institution in Asia with Worlds Fastest 400 Slices in .25 sec and Frontier Software. The clear benefits of dynamic evaluations, the applied dose have been the crucial threshold to broaden its application, especially to body perfusion. The Machine significantly lowers this hurdle by not only extending the coverage to 22 cm for perfusion (and even 80 cm for CTAs), but particularly by reducing the applied X-Ray dose by up to 50% compared to today's leading CT systems. The best part is that we are providing free of cost CT Scan facility with this world’s fastest machine which have been installed first time in any medical colleges across the country. Also this is only the third unit which have been installed in Asia.